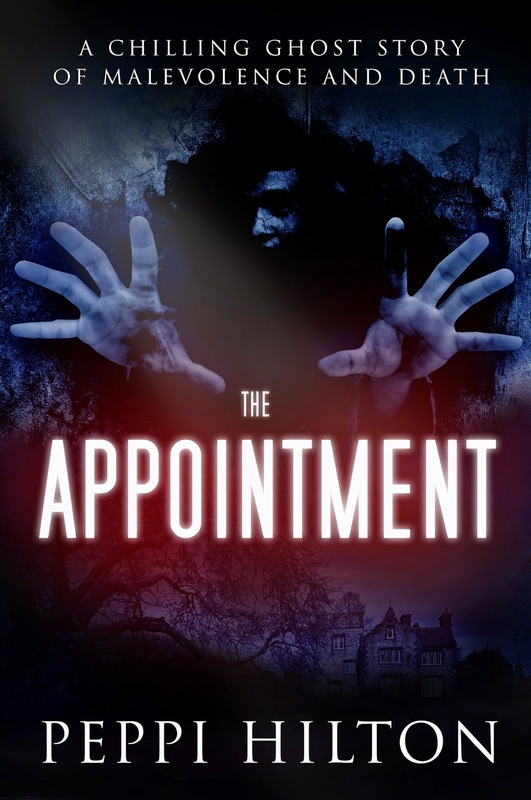 Today we are interviewing Peppi Hilton, author of the ghost/horror novel The Appointment. Gender: Female. Place of residence: Large Edwardian country house on the fringes of Yorkshire bordering with Lancashire in the north of England, UK. I am the owner of a property company (offering lots of inspiration for ghost stories and horror stories or crime stories) and I am also an Author. I have a daughter and three grandchildren. I also have a wickedly intelligent cat and she is absolutely adorable. We share our home with a long-suffering partner of many years. Whilst there are too many to mention, I would say Evelyn Waugh whose book Brideshead Revisited was an inspiration. Also Emily Bronte who wrote Wuthering Heights and whose short life was spent walking on the wild Yorkshire moors. The Bronte family lived in Haworth in Yorkshire in the early 1800’s which is very close to where I live and on reading her poems you can almost sense her soul walking on the moors. The Parsonage in Haworth, where the Bronte family lived, is still open to the public and perhaps one day I may write a ghost story which takes place there! About thirty years on and off. An unsuspecting female photographer, working for a local estate agent, keeps her appointment at The Grange, an abandoned mansion hidden deep in a forest across the wild Yorkshire moors, unware of a distant family connection to its long-forgotten gruesome past and latent mesmeric presence. And when an evil spirit, with an unimaginable power, returns from the dead to exact his revenge on all who cross his path, Kelly’s life will never be the same again, nor will her sanity. All adults, male and female, and teenagers from the age of 14 years providing they like ‘scary’ stories. For years I was fascinated by a house which was shrouded by trees. Only the top of its ivy clad Italianate towers could be seen above the trees. Many years later it was offered for sale and all the trees were cut back so that the house could be seen. It immediately inspired me to write a ghost story and that is my latest title: The Appointment. The evil spirit who returns from the dead. Why did you decide to set your book in the Yorkshire moors? Because I have always been drawn to the moors in that part of the world, they are wild and mysterious. If you were Kelly, would you have kept your appointment at The Grange? Why or why not? Definitely not, I would have been scared to death. Did you listen to ghost stories growing up? If so, are there any that you still remember? I always enjoyed Dickens’ story about SCROOGE. It wasn’t scary but there was an important moral to the story. As a horror writer, do you have any exciting plans for Halloween? I know Stephen King had trick-or-treating at his house for a few Halloweens. My daughter has now taken over that role, but I have often been asked to write short scary stories about witches and ghouls and ghosts etc., for their Halloween parties because she remembers all the ones we had when she was growing up. My library is stuffed with favourite books, but most of them are non-fiction. I like biographies of interesting people, many unknown ones, some writers, but never celebs. I love the letters which were written by many authors in the days that letters were the only form of communication and which have been salvaged and saved for the world to read; such as Charlotte Bronte, Patrick Bronte, and Jane Austen, but also William Wordsworth and many more. I have a particular interest in 19century social history. No, but I can offer lots of advice to others. Wonderful, but I still love the real thing. To retire from full-time business into full-time writing. Padding just to fill in the story, but I try to avoid that. I am just the opposite, I have too many ideas and can’t keep up with them. Do you write with a computer, typewriter, or pen and paper? Why do you use this tool? Computer and I write the story on to the computer straight from my head. I can’t live without them. I am already half-way through my next book called The House in Gallows Lane. This one is a typical ghost story as it takes place in a very haunted house. The Appointment is a very scary book, but holds the reader in suspense all the way through so that they can’t put it down. It is easy to read and there are lots of twists and turns to keep the reader guessing, so they can never work out the ending which leaves the story on a cliffhanger. It offers more than just the traditional ghost story, and if it is well received, there is a sequel. The book has had good reviews already.